Very frustrating website and customer service. Do not use citi bank. Low starting limit with a 754 score. Last time I checked 750 was a EXCELLENT score and based on the forums I've heard the same thing people with stellar credit getting lowballed. Why not just do like crapitalone and give everyone $300....SMH. I had this card in the past and one day out of the blue Citi closed my account for some vague reason. I suspect that it was because I didn't use it very often. However, almost immediately Citi started emailing and snail mailing me offers to apply for the card, at a higher APR than I had previously. 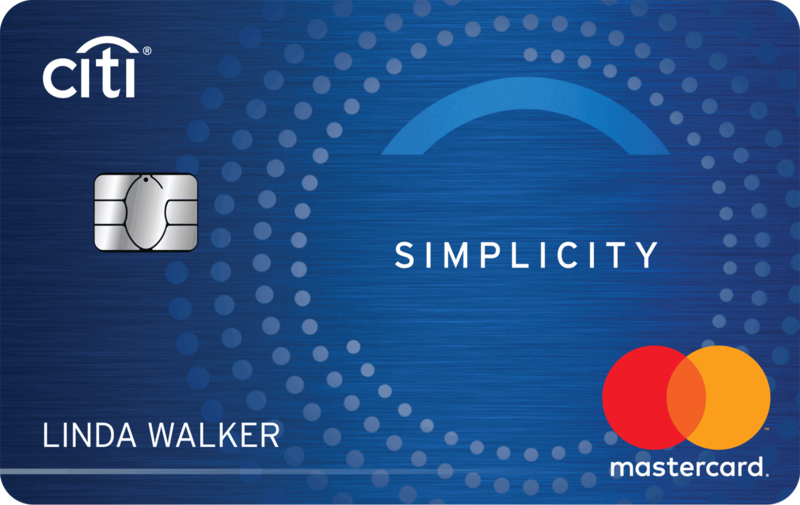 Yeah, so, the simplicity of this card must refer to Citi's business practices and the audacious way it is marketed to former cardholders. I agree with you. I had my Citi Simplicity card for almost 16 years - no late payment ever! I found out through my credit report that they closed my account. They did not mail or email me. When I called them they denied that it was closed. Then 2 months later there was a message on my app that the account is. Loser and I should go on the website and take off the link. Why would I feel in anyway compelled to reapply for a credit card with them when there are so many other options. Cardmember since 2015. I made a $1,000 payment three days ago. Today I receieved an email that may credit line has been reduced by $1,000. I called to see WTF? They told me to call back in a month to review my account. If I had planned any purchases, that could have ruined the holiday. Good only for the initial promo rate, after that trash this card. Zero rewards, that so called Citibank Thankyou program is an insult. Interest rate is outragous. Balance transfers are never worth it. Don't even ask for a CL increase with perfect credit, it's an automatic decline. These card offers you o% interest for 18 months but good luck they will never do it again. I have great credit and this card has a 23% interest rate now, long gone are the days when you had great credit and low interest. I have called to receive better offers and their answer is always the same “ sorry we don’t have any offers now” is been two years. I use this card and pay it off in full. I have a better credit card, that i pay no international fees and i am always getting good balance transfer offers. Don’t fall for this card, do your homework there are better cards out there. It’s because you dont know how to use it lol. This card is great to put on big purchases and pay it off with no interest. I have used this card on multiple vacation trips. When the 0% apt time i just close it. And when i need the 0% apr again i open a new account. This card is not to be used as an everyday card. CitiSimplicity Customer Service is the worst I have encountered. They provide circular - useless answers, put your card on hold even you took the time to tell them where and what you were going to buy and how much you were going to spend on valid accounts in good standing. They pretend to be helpful but use incorrect information to verify the account as if they are looking at some other made up account. My account is just a few months old but I have no intention of putting it to use now that I have had such a bad experience and my situation is still not resolved and my card is still not available to me despite my efforts AND LOOKOUT the foreign language speaking operators ask you to give them at least two complete Credit Cards from other major banks in order to verify your account "another way" then tell you that they still cannot verify the account. NOW I HAVE TO WATCH NOT ONLY WHAT IS GOING ON WITH CITISIMPLICITY BUT ALSO THE ACCOUNTS THAT WERE SO-CALLED USED FOR VERIFICATION THAT DID NOT TAKE PLACE.